We have some good news and some bad news. The good news: Winter is halfway over and spring is only a month and a half away! The bad news? For those of us that live in a cold or temperate climate, we know that winter is hardly over and it’s bound to stay cold at least until halfway through April. April showers? Ha! If you live in the Northeast, you’re no stranger to April snowstorms! Let’s look at the silver lining, though. Winter might be here to stay for a little (or a long while) longer, but at the very least, it means we still have plenty of opportunities to bust out our coziest layers. Let’s face it: Our fuzziest knits, sweaters and jackets aren’t going anywhere at least until the Game of Thrones premiere on April 14. Winter is, after all, truly here. Luckily for Us, one of our favorite brands to keep bundled and warm, The North Face, is having a huge sale on some of its warmest gear. From parkas designed to keep heat packed in on the most blustery winter days, to zip-ups made to layer under jackets or worn in places that don’t quite reach subzero temps, there’s an option out there for any kind of winter chill. The best part? So many of them are 40 percent off! Staying toasty warm doesn’t have to be synonymous with a gigantic puffer. Not only do they add unnecessary bulk, but they just don’t feel comfortable. Who likes to run errands, drive or commute with a coat that’s essentially an overstuffed marshmallow? This jacket is designed to remedy that. It has a slim fit that contours the body but still leaves plenty of room for thick sweaters, plus it’s insulated with goose down to keep warm. The waterproof shell is perfect for combating slushy days plus the attached, adjustable hood protects from wind. We especially like that it has a cinched waist, that we can adjust based on how tightly nipped in we want to look that day. See it: Check out The North Face Outer Boroughs Jacket for 40 percent off the original price of $249, now only $149 at Zappos. 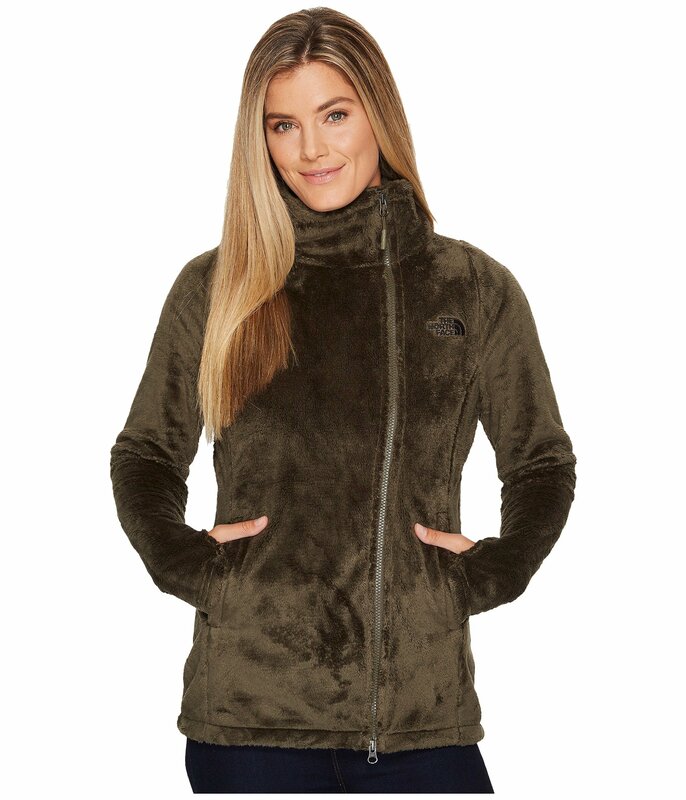 Check out more North Face items on sale at Zappos! There’s nothing worse than being forced to be outside on the worst, coldest days of winter. Whether it’s commuting to work in a snowstorm or having to walk the dog in the single digits, we need a coat that’ll make us feel just as warm as if we were still hiding under the covers in bed. This parka does all that. 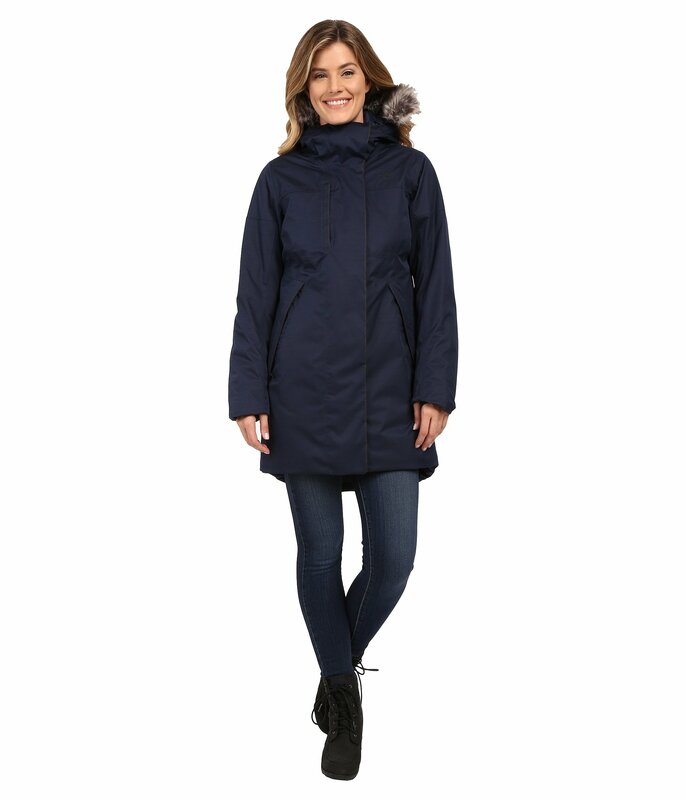 It boasts high-loft 550-fill down for ultimate insulation, plus two-way zip closure with a tall neckline, perfect for protecting our necks when scarves won’t do the job. It also hits around mid-thigh, the perfect length to allow plenty of movement while still offering much-needed coverage. Reviewers dig that the jacket is perfect for snow days and that it’s not super puffy and snowman-like. See it: Snag The North Face Crestmont Parka for 40 percent off $349, now only $209 at Zappos. 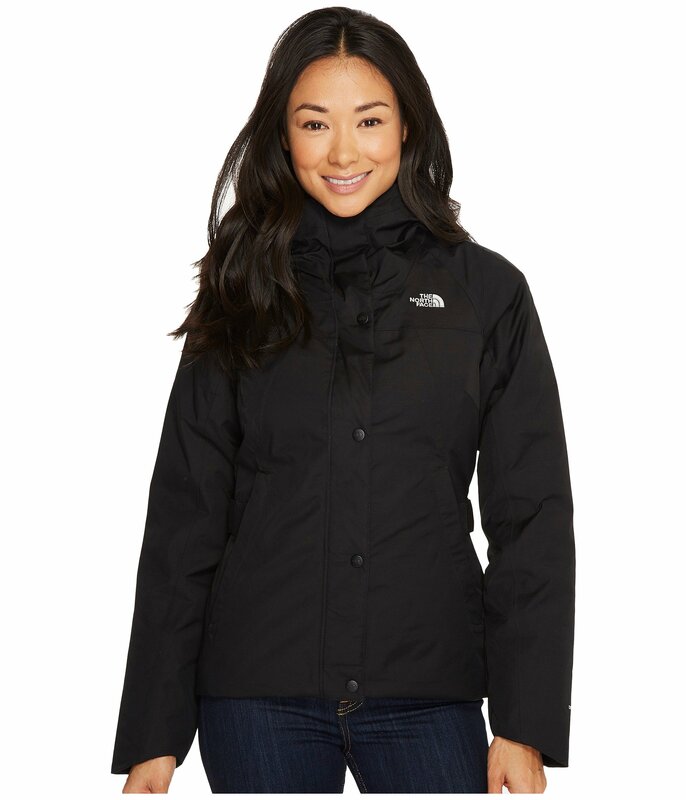 Also be sure to check out other North Face items on sale at Zappos! Some of us are lucky enough to only get mild winters, which is totally cool (although to be fair, we’re super jealous!) While something quite as heavy-duty as a parka or a down-filled jacket might seem a bit extreme for temps that don’t drop below 60, it’s still important to keep as warm as possible without restricting movement. The Osito Parka is a soft, plush and most importantly, stretchy jacket made of cozy fleece. It’s a look that equally exudes both comfort and style, making it a great option for days that we need extra warmth but don’t want to stuff ourselves into layers upon layers of sweaters. The stand collar is great for keeping the neck warm when we don’t want to throw on a scarf and the off-center zip closure lends plenty of street style cred. The relaxed fit hugs the body but still effortlessly drapes over it, making it the perfect piece to layer button-downs and tees with. We can even pair a sweater under it for ultimate warmth! It’s available in both olive green at blue. See it: Check out The North Face Osito Parka for up to 40 percent off the original price of $120, now starting at $72 at Zappos! Be sure to check out other North Face items on sale at Zappos!